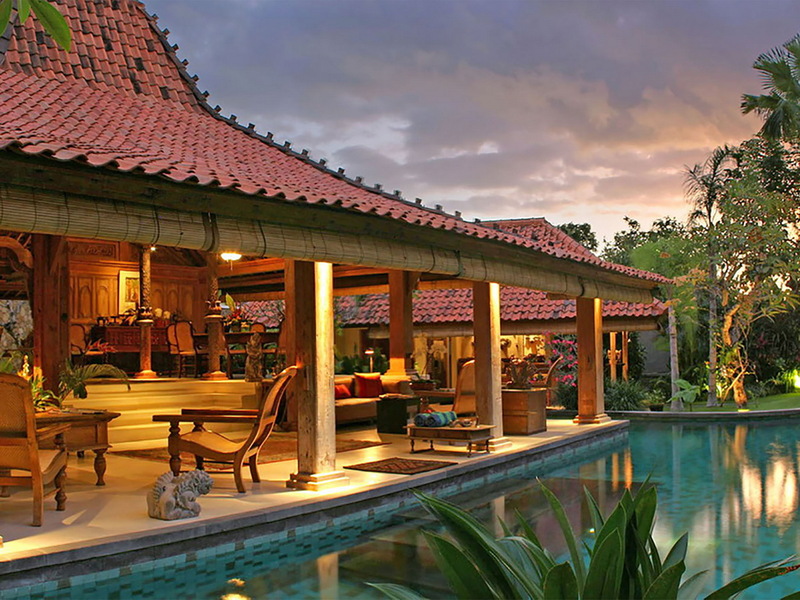 From $ 1,255AUD per night We have direct contracts with most villa owners. We don't add any booking fees. We are 100% transparent with no nasty surprises. 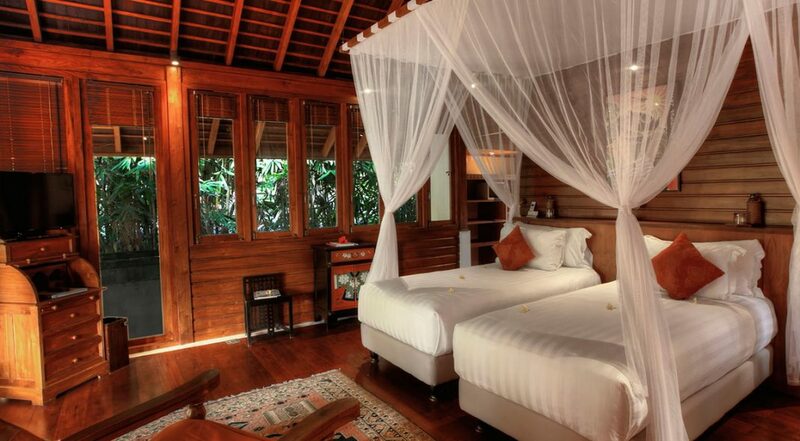 ONLY 5 min to beach & Ku De Ta - rent this now! 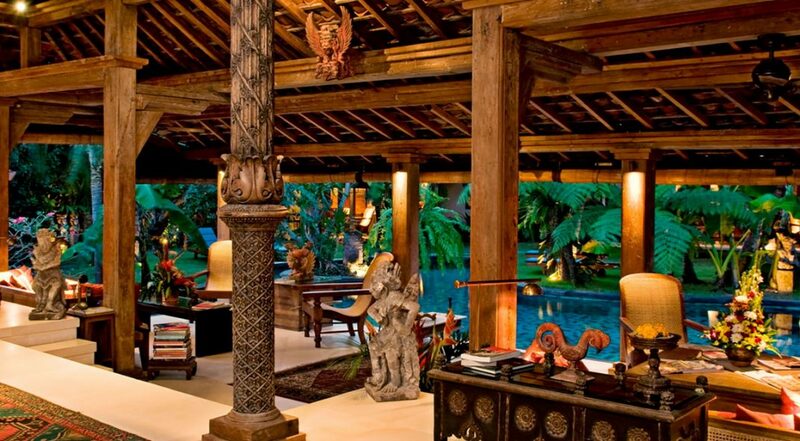 Villa Des Indes I is tropical 4 bedroom Seminyak villa holiday rental akin to the ‘Garden of Eden’ only a tropical version with four bedrooms, sleeping up to 8 guests. 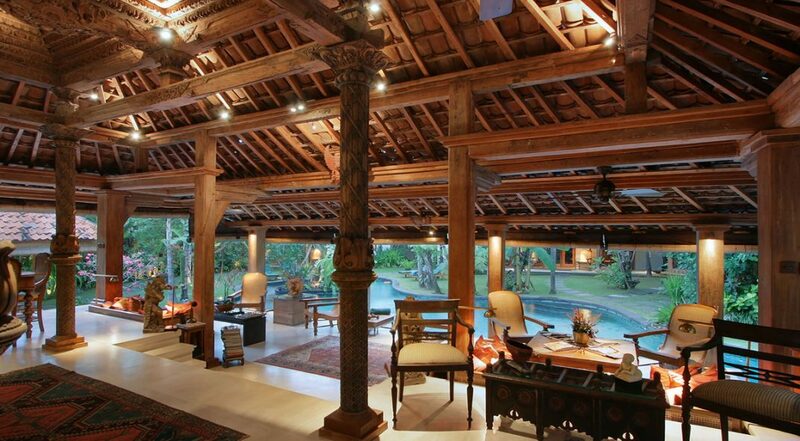 The villa boasts a fabulous central Seminyak location displaying antique Javanese architecture, an amazing art collection from the region, large natural free-form tropical styled swimming pool with gazebo, two Master bedroom suites, great staff and just a 5 min walk to the beach at the iconic Ku De Ta Beach Club. 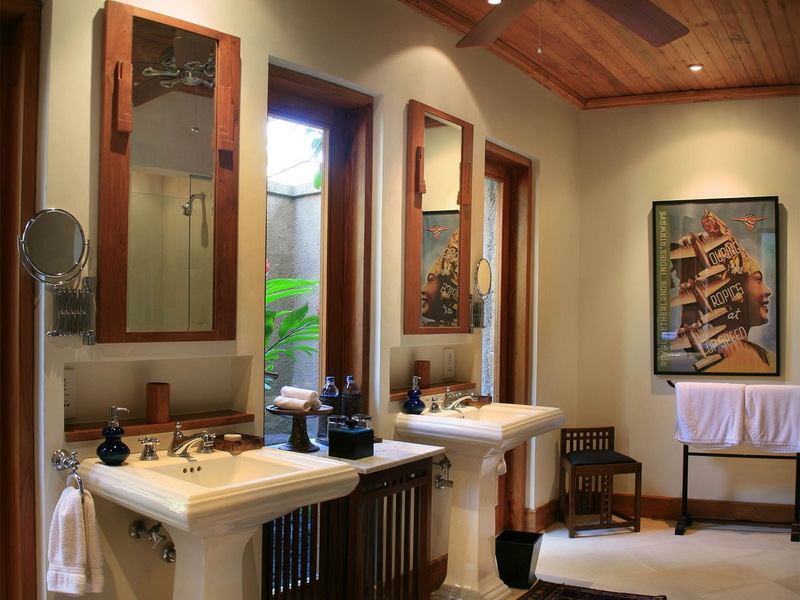 The natural free-form tropical pool meanders its way through the lush and mature gardens as well as the villas living pavilions and antique bedrooms. 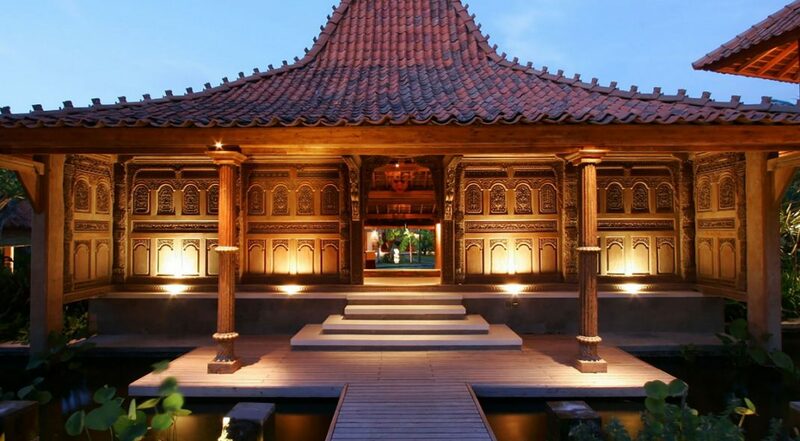 The pool is surrounded by a lush lawn, a traditional bale is tucked in the tropical foliage for an afternoon massage or some shut eye and the pool has an island where you can sit on the steps and bask in the Bali sun. 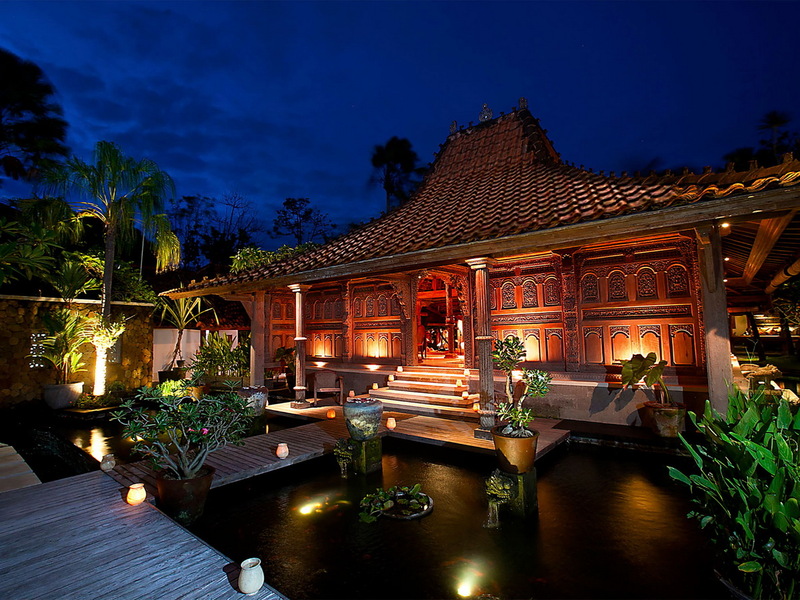 The calming influence of the koi fish pond sings a song with its fountains, the living areas are sophisticated with hand-picked antique furnishings, all of this blends perfectly with warming oriental carpets and artworks from the by-gone Batavia Era. From this open-air pavilion you slip straight into the pool like a king or just take time out on one of the many comfy arm chairs or plush sofas. The kitchen is housed in a separate pavilion in the garden, a high chaired bar is perfect for morning coffees or a cold ring during the day. 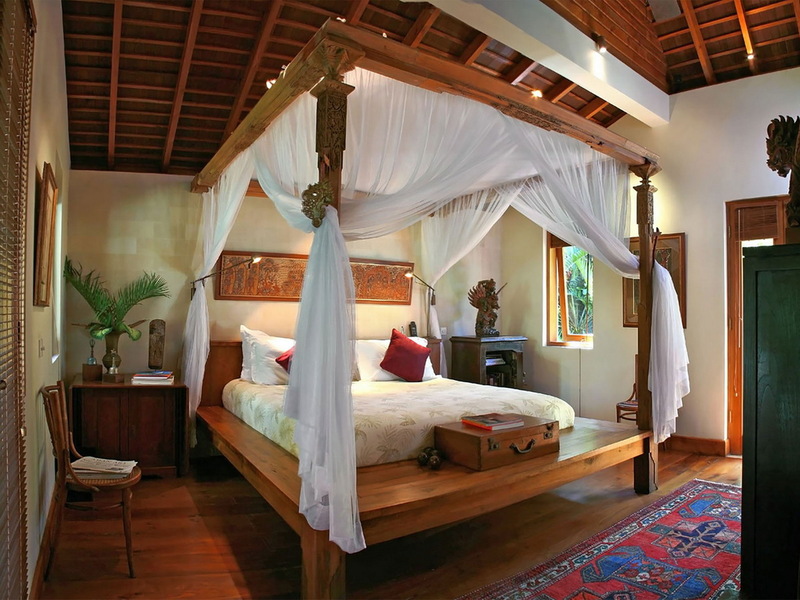 The bedrooms have a cozy feel with the use of natural timbers, oriental floor rugs, built-in book cases and polished timber floors. 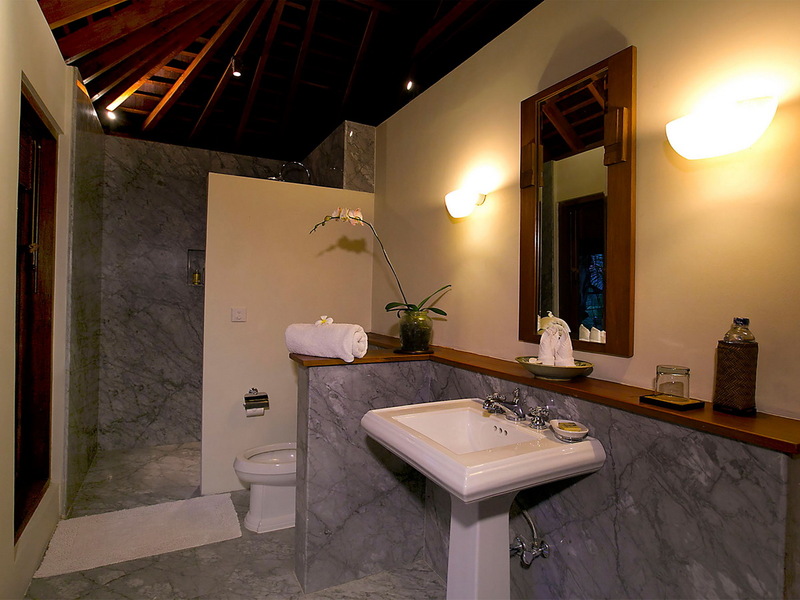 The villa has two master suites, the antique bath tub set in a wall of glass and private outdoor shower under the skies. 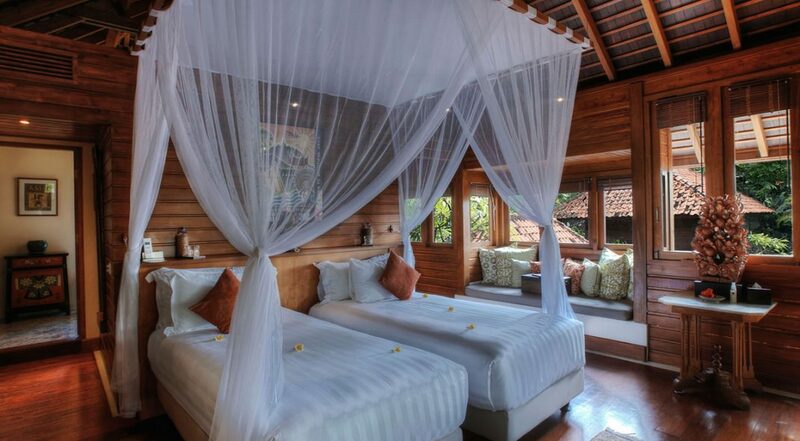 The second Master suite has all the luxuries of the first with sheer curtains hanging from the beds four posts. 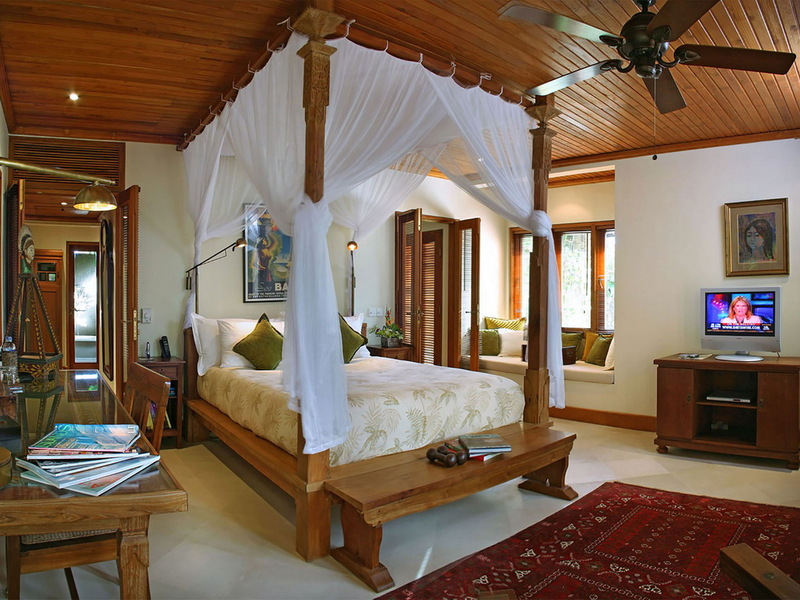 Bedroom three has a king size bed with private study and cozy lounge with TV, the fourth bedroom has twin single beds, both of these rooms are located in a separate pavilion called the tree house. 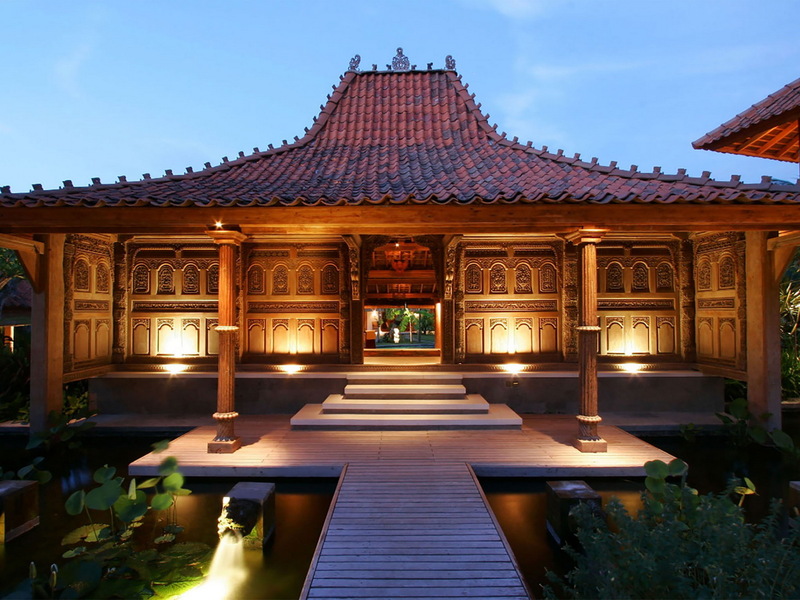 The villa is fully serviced by a professionally trained team of staff who will do absolutely everything to make sure your Bali holiday is totally memorable for all the right reasons. You will be waited on hand and foot from the villa manager, to private chefs, personal butlers, house maids and security staff. 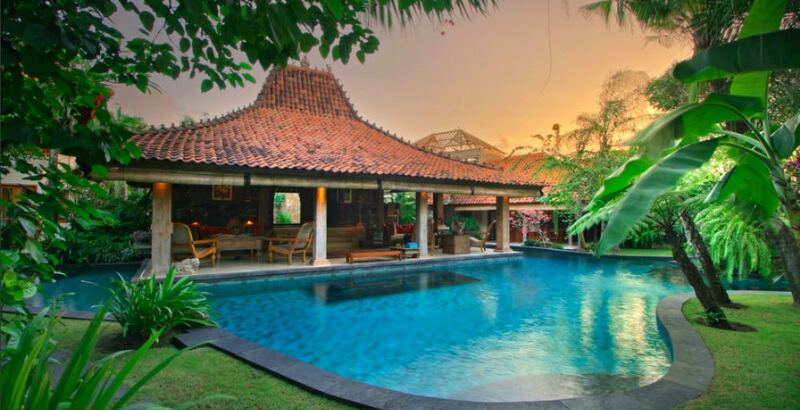 The villa is tucked in Jalan Astinapura just off Jalan Kayu Aya/Jalan Petitenget and Jalan Kayu Jati, Seminyak’s most sought after post code. Wake in the morning and head to Sea Circus for the best coffee on the island, for a special lunch or dinner we suggest La Lucciola, an icon in its own right set on the sands of Seminyak Beach. Ku De Ta Beach Club has it all from reasonably priced breakfast’s right in front of the rolling waves, all day grazing by the swimming pool, al la carte dinner downstairs or head upstairs to Mejekawi for an unforgettable world class dining experience. Seminyak Square is nearby with all you’re a supermarket, cafes and ATM’s as well as a sports bar upstairs and MAN Fryday’s for great fish and chips. 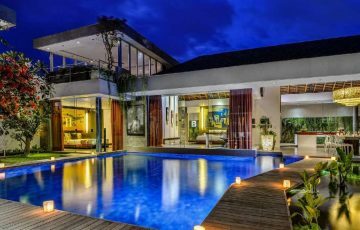 To view other 4 bedroom Seminyak Villas or more family friendly Bali Villas near Eat Street, Ku De Ta and the beach, please browse this website or contact our reservation team. 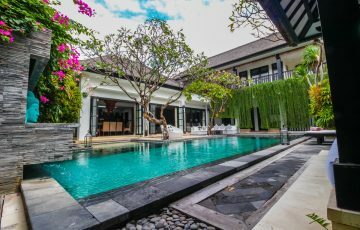 This is a popular Seminyak villa so if your planning a trip to Bali, especially during the Australian school or public holidays please book Villa Des Indes I well in advance. 8 adults (3 king-size beds; 1 set of twin beds that can be joined to create a king) plus extra beds for 4 additional guests (adult or children) on request (additional charge applies). 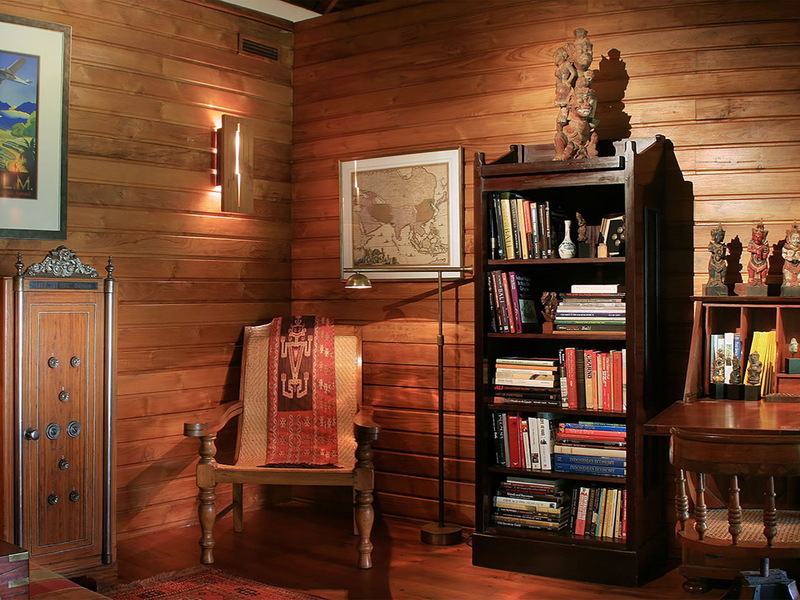 LIVING AREAS : Fan-cooled living and dining area; air-conditioned den/library/study within both master suites; bar pavilion and butler’s pantry; garden balé. SWIMMING POOL : 21-metre lagoon pool. DINING : Breakfast is complimentary; priced menu of Western, Asian, vegetarian and children’s dishes for lunch and dinner; chef also experienced in Japanese and Thai cuisine; requests accommodated (including special diets). COMMUNICATION : Fibre-optic internet with WiFi; landline for local calls (international calls charged); mobile phone coverage; phones in all rooms; laptop (and fax/printing) on request. 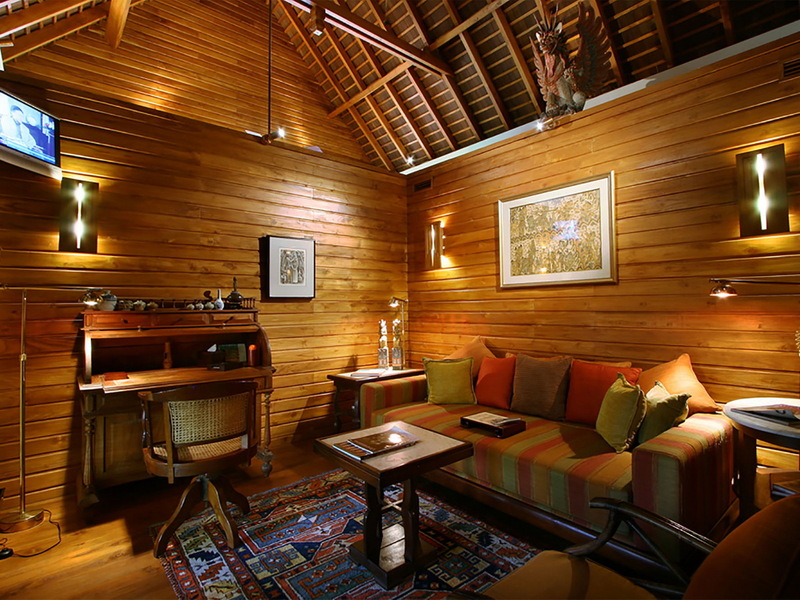 ENTERTAINMENT : 37-inch TV with satellite channels in all four bedrooms; Bose sound system; books and magazines in every room. 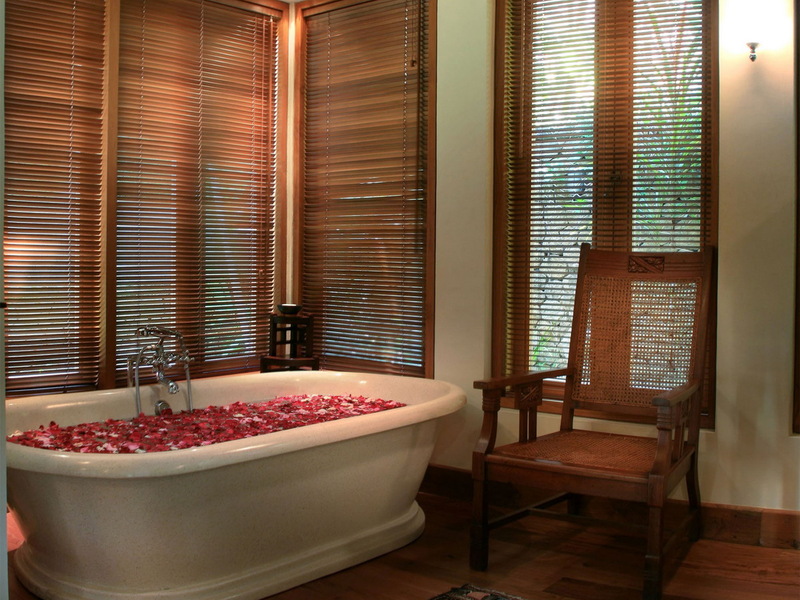 FOR FAMILIES : Villa Des Indes makes a great villa choice for families. Equipment such as baby cot, high chair, booster seat, baby monitor and pool fence can be supplied on request for a small additional charge. SPA : In-villa treatments selected from a comprehensive spa menu can be carried out by visiting spa therapists (extra cost applies). 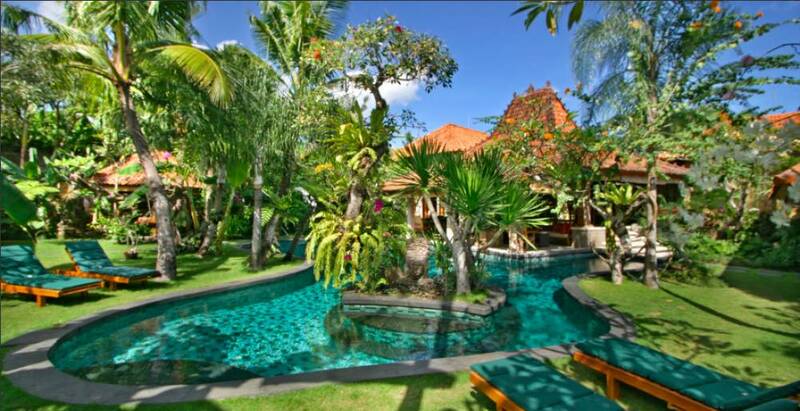 TRANSPORT : The villa’s central Seminyak location places many attractions within easy walking distance. 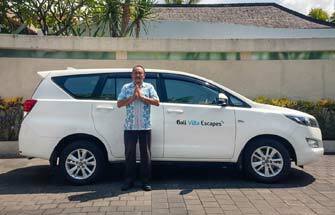 If transport is required, the villa staff will happily call one of Bali’s safe and reasonably priced metered taxis, or organise the hire of a car and driver for day trips further afield. ADDITIONAL FACILITIES : Barbecue; back-up generator; safety deposit boxes; 2 massage beds. Additional staff (babysitters, masseuses) available on request. 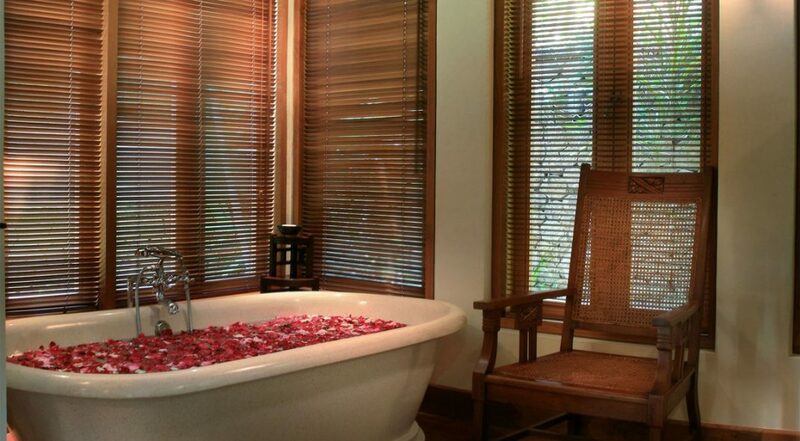 What a fabulous holiday at Villa Des Indes. 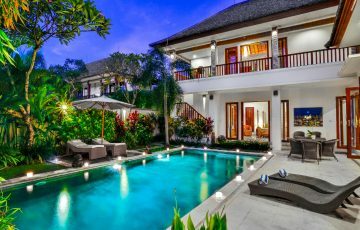 The best customer service we have ever received from any type of villa staff - and we have stayed in a few various villas in Bali and these are simply the best!! Celebrated my 50th here and I cannot think of a better place to have it. 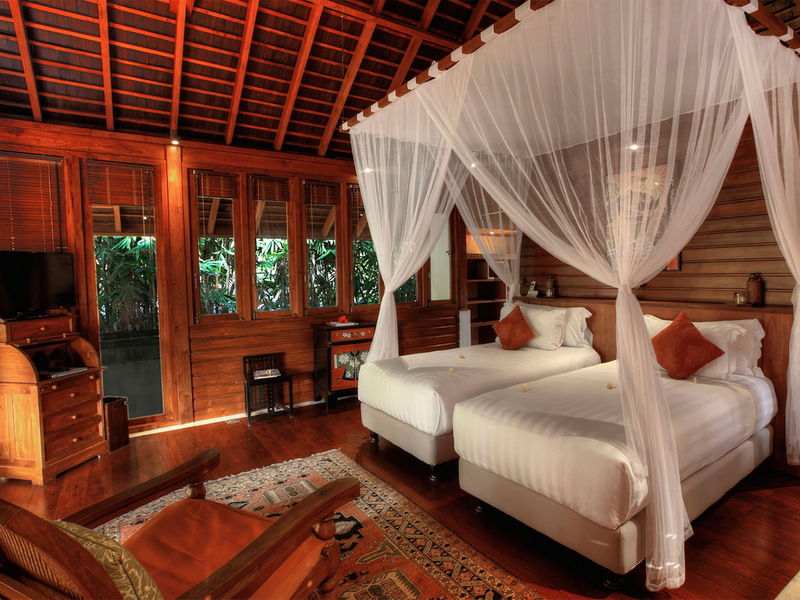 My husband and I have travelled extensively all over the world and have to say that we were more than impressed with he 5 star service and great facilities at Villa Des Indes. Everything went like clock work and the whole holiday was a perfect dream. 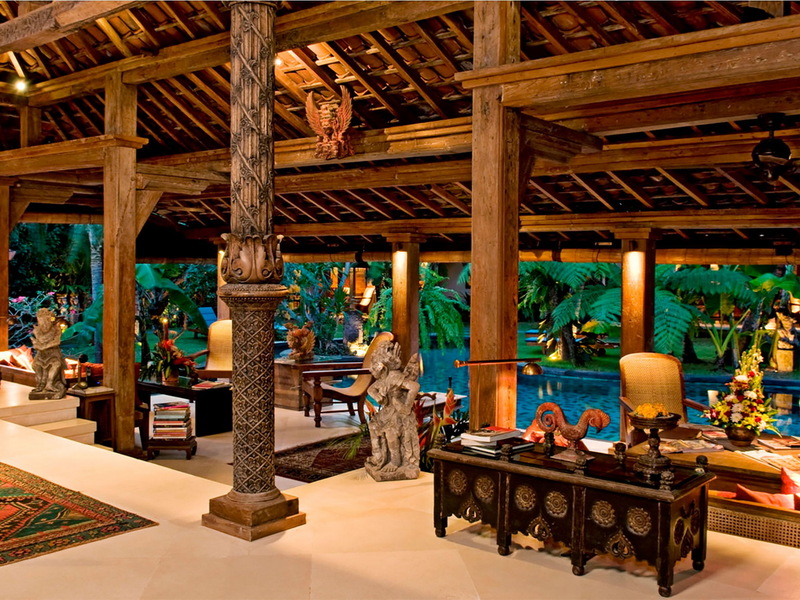 Loved the pool and the amazing art pieces throughout the villa. PLUS the location was sensational. So central and very convenient. 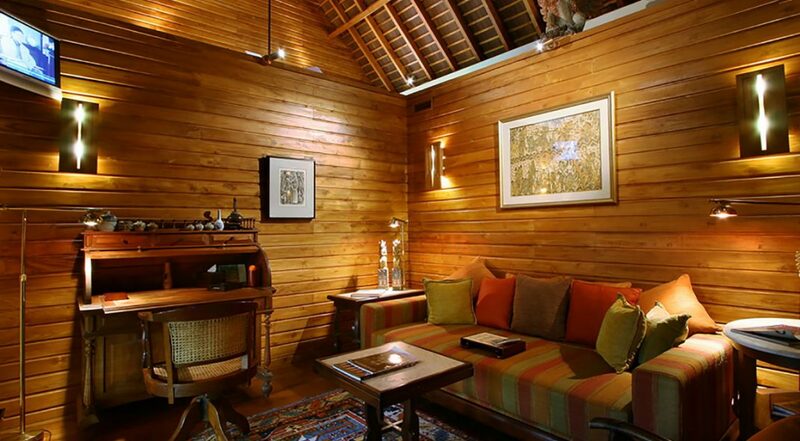 This is the type of villa where you can completely unwind, relax and enjoy the whole villa experience. 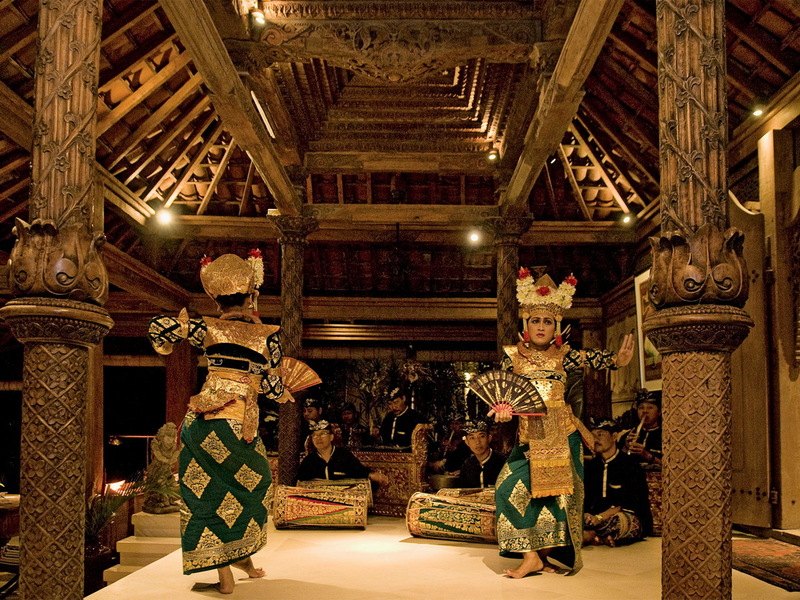 Villa Des Indes 1 is a remarkable place! The location was unbelievably central with so many really good places to eat within walking distance. 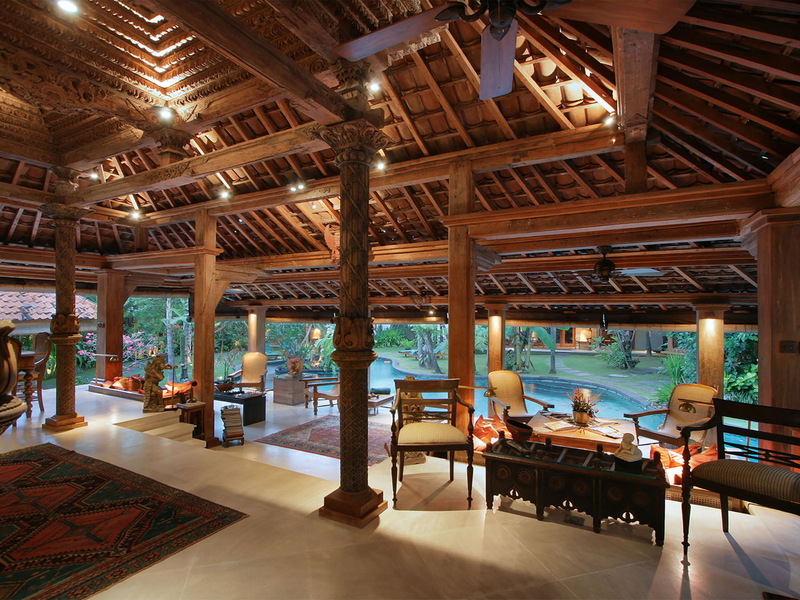 Let's start with the whole of Seminyak Village and Seminyak Square being around the corner. 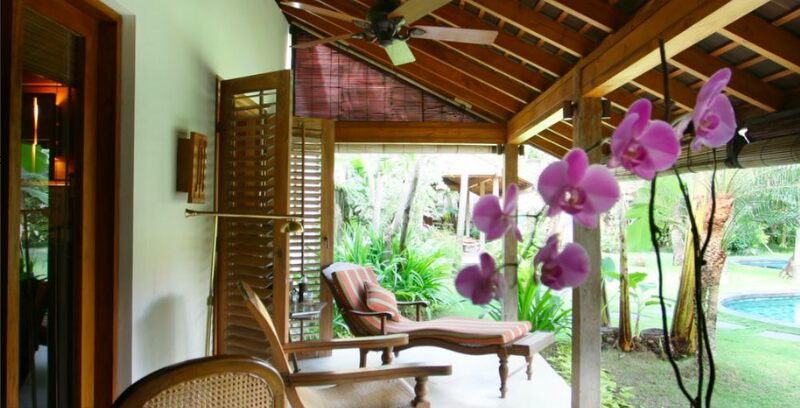 A peaceful haven with a lovely garden area and pool which is where we spent many hours with the kids relaxing, reading, playing games and enjoying the luxury of being in our own private villa. 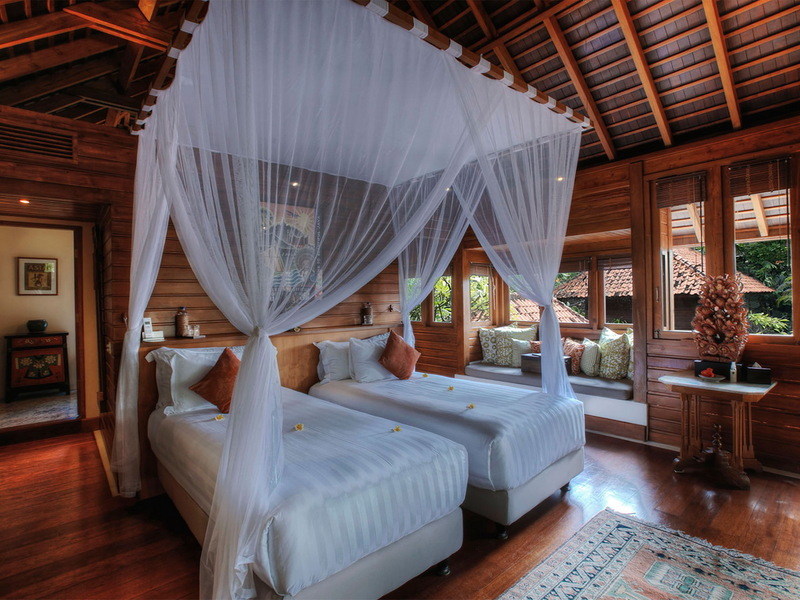 This was our first time staying in a villa and we will definitely be back. That about sums it up - plus it was so peaceful. What a great place to spend a week. Just want to thank Tia, Yayuk & the rest of the staff for such a warm and friendly holiday from us and the kids. Looking forward to returning next year.